. Heinrich M C, Griffith D, McKinley A, et al. 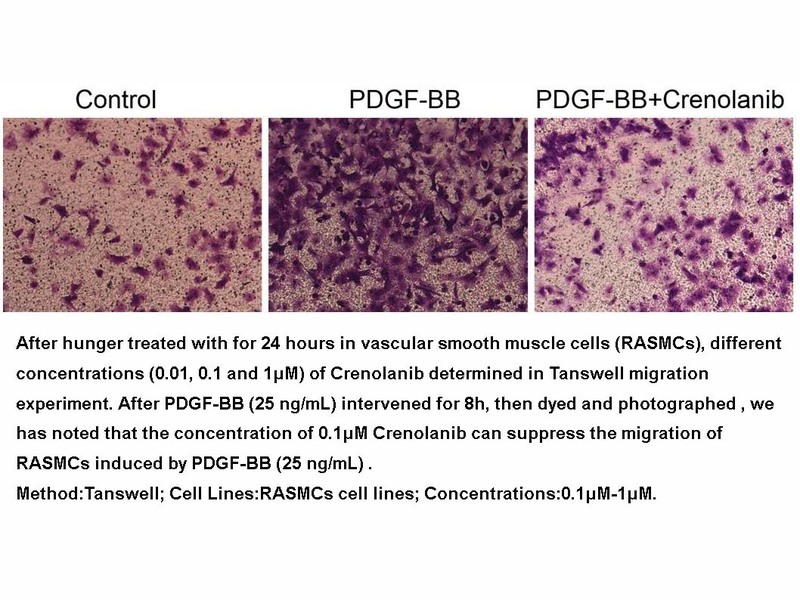 Crenolanib inhibits the drug-resistant PDGFRA D842V mutation associated with imatinib-resistant gastrointestinal stromal tumors[J]. 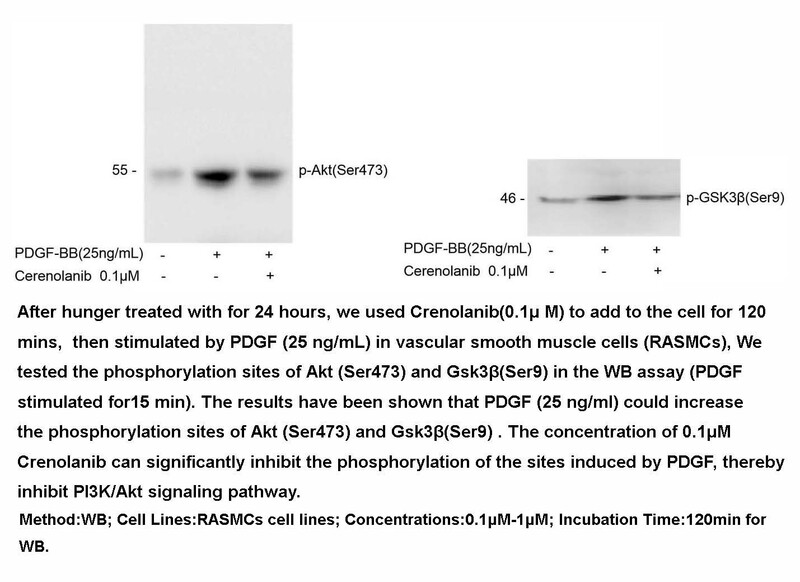 Clinical cancer research, 2012, 18(16): 4375-4384.
. Wang P, Song L, Ge H, et al. 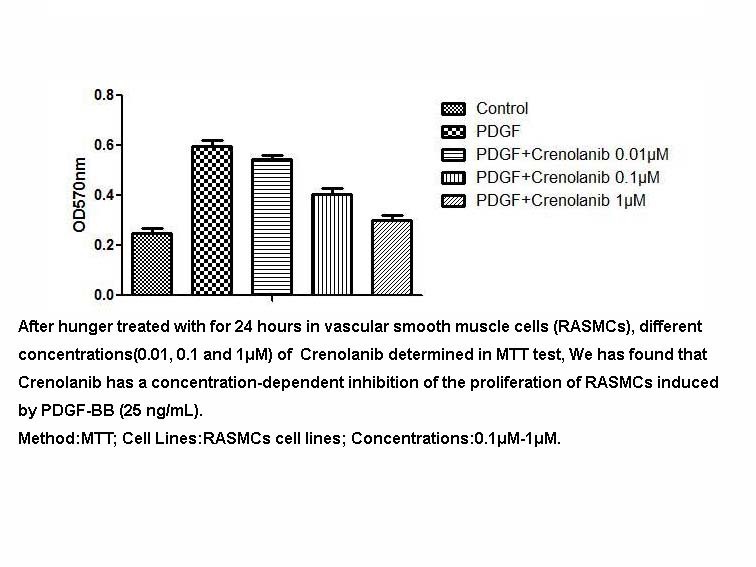 Crenolanib, a PDGFR inhibitor, suppresses lung cancer cell proliferation and inhibits tumor growth in vivo[J]. OncoTargets and therapy, 2014, 7: 1761. 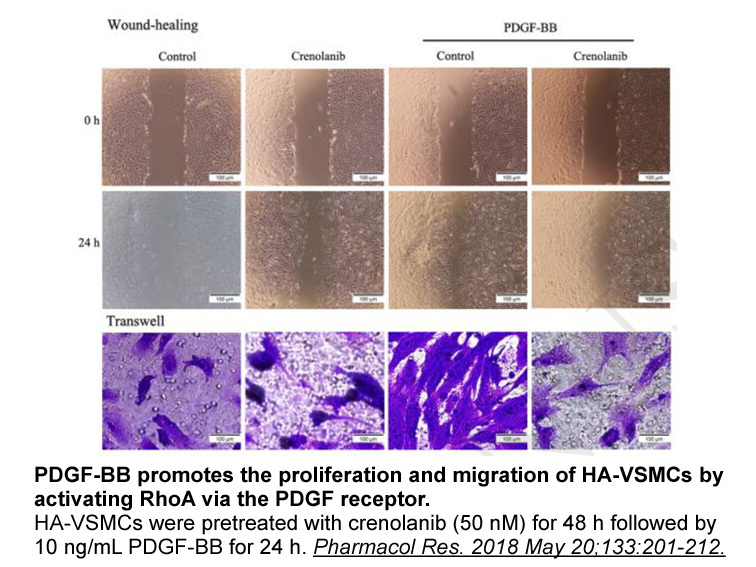 Heinrich MC1,Griffith D,McKinley A,Patterson J,Presnell A,Ramachandran A,Debiec-Rychter M.
Crenolanib inhibits the drug-resistant PDGFRA D842V mutation associated with imatinib-resistant gastrointestinal stromal tumors. 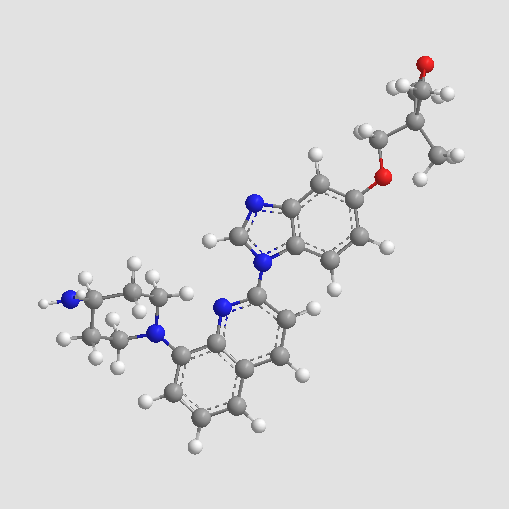 Clin Cancer Res.2012 Aug 15;18(16):4375-84. 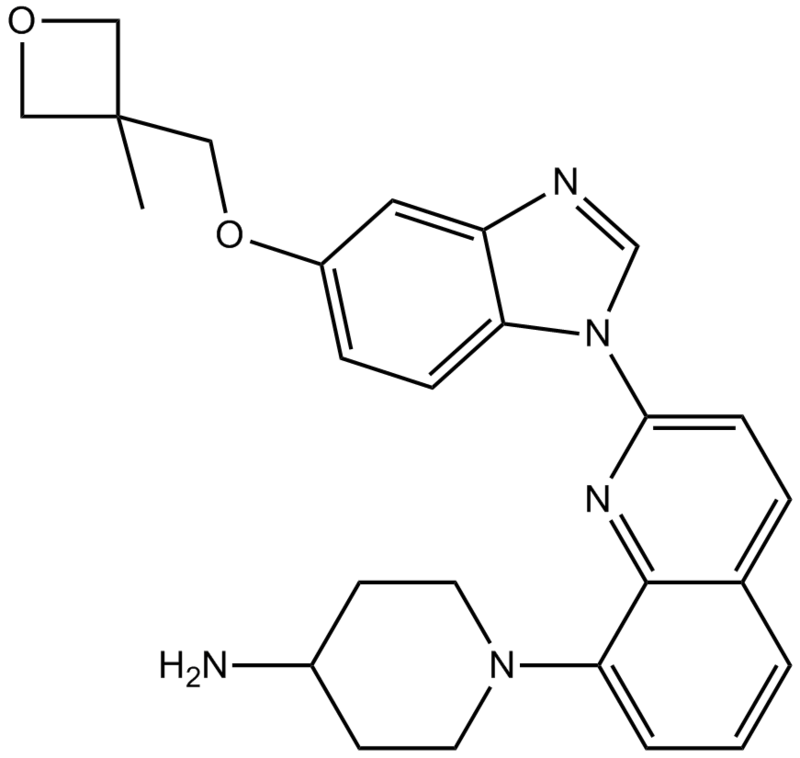 Galanis A1,Ma H,Rajkhowa T,Ramachandran A,Small D,Cortes J,Levis M. Crenolanibis a potent inhibitor of FLT3 with activity against resistance-conferring point mutants. Blood.2014 Jan 2;123(1):94-100.